Today’s guest blog is by Dreda Say Mitchell a British novelist, broadcaster, journalist, and freelance education consultant. Dreda Say Mitchell burst on to the crime fiction scene in 2005 when her debut novel Running Hot won the CWA John Creasey Dagger. 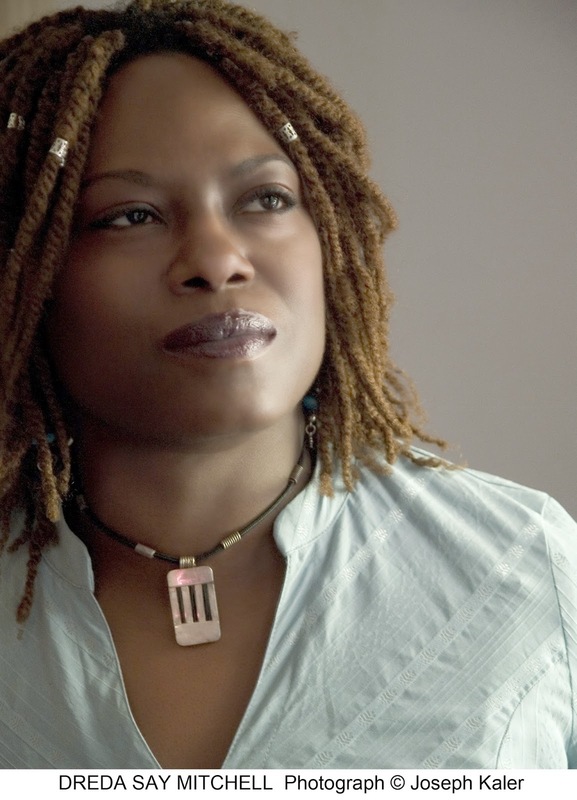 Her second novel, Killer Tune, was voted one of Elle magazine's top ten reads, 2007, and her fifth book, Hit Girls, was voted a top ten book of 2011 by Reviewing the Evidence. 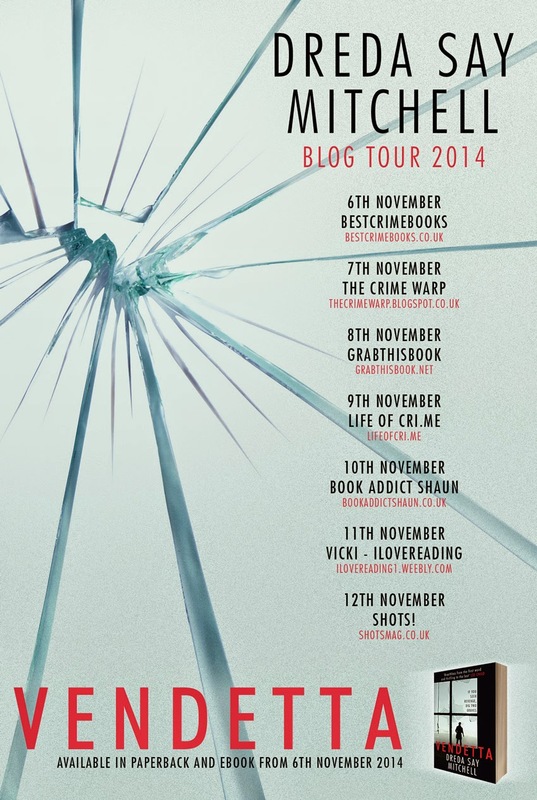 Her novel Geezer Girls' the third book in her Gangland Girl series was a 2014 World Book Night UK choice. Everyone in the publishing industry is familiar with the concept of ‘genre’ but it’s something of a flexible friend. Is ‘Crime And Punishment’ a literary classic or a psychological thriller? Raymond Chandler started out as a pulp fiction author but is now on the reading list at universities. You can see the same process now under way with Ruth Rendell and others. There is one rule you can apply though – if the critics and academia are taking you seriously, you’re not genre. If, on the other hand, they’re not name-checking you, then you probably are. So the lines are blurred and often rather unhelpful. With my new novel ‘Vendetta’, I decided it was time to shift direction somewhat and it proved to be an interesting experience. My first book ‘Running Hot’ initially fell into the ‘Urban’ category, which critics have apparently decided is a respectable genre. But the fact that there was also plenty of crime involved meant I was fortunate enough to win the John Creasey Dagger for it. Subsequently, I began writing books set in East London gangland. This was a natural development for me as I grew up on an estate in Tower Hamlets and saw and heard more than enough stories to keep the wheels turning. But for me it was always about more than murder and mayhem. In our Hampstead orientated society, the lives of people in the poorer parts of our towns and cities go largely unexamined and I wanted to examine them. Along with the guns and the twists, I wanted them to be about people. began my new novel ‘Vendetta’. It seemed to me that I’d exhausted what I wanted to do in East London. 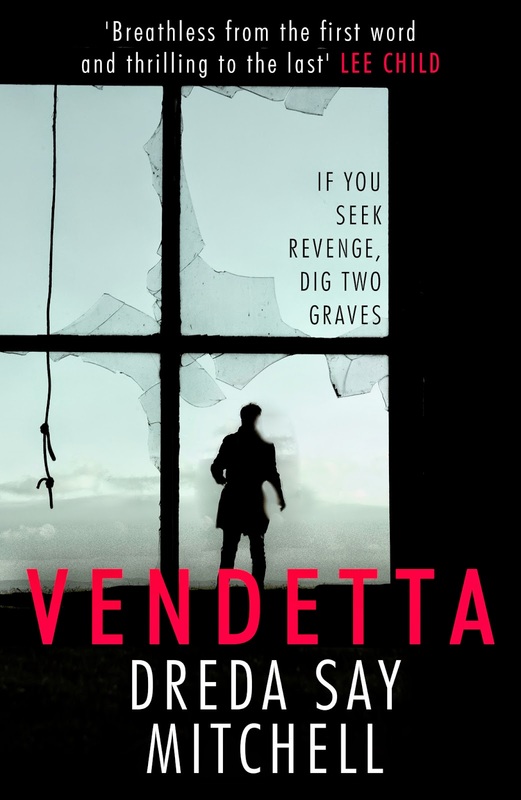 Vendetta falls into the thriller genre, another very flexible format. I was glad about this on a number of counts. Firstly, because I’ve been a thriller fan since I was old enough to read. Secondly, because writing thrillers is a very demanding task for a writer and I know as a thriller-reader just how difficult it is to pull the wool over the eyes of consumers of this kind of fiction. When I swapped sides from reader to writer, I discovered it’s quite a challenge, a hugely pleasurable one but a challenge none the less. And finally, I discovered that the thriller format offers just as many opportunities to explore subjects as other genres do. As I finished my new book, the misadventures of undercover cop Bob Lambert, his life, and loves burst into the headlines. So closely did some of these headlines match ‘Vendetta’, it could have been part of the book blurb. Of course, there are basic building blocks, which you ignore at your peril. A compelling hero is a must, as is a clever and rhythmic plot. The giants of the genre assemble their stories like Swiss watches. You need pace - such stories don’t hang around, if they do the reader gets off at the next stop. But what was interesting for me was not how different writing thrillers were to what I’d done before but how similar. From ‘Running Hot’ onwards, I’ve been committed to characterisation, plot, and pace because those are the books I like to read and most authors like to write the stories they want to read. There’s no faking it in fiction, the reader can spot a phoney writer whose heart isn’t in it a mile off. A lot of literary authors think this sort of fiction is easy and they can turn their hand to it. They soon get found out.